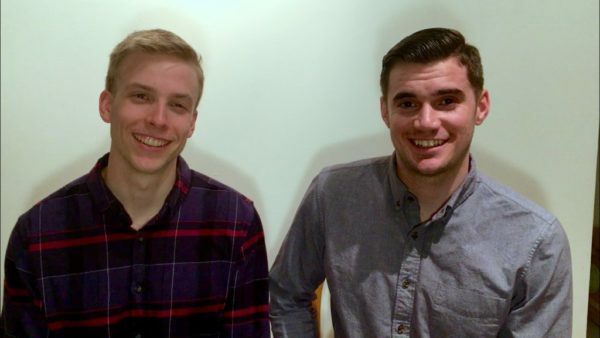 Crystal City-based startup 4stay aims to help more students find affordable housing with ambitious plans to quintuple their current reach, thanks to some new funding. On the heels of raising $1 million in angel investments, last week the state-funded nonprofit Center for Innovative Technology (CIT) announced that its CIT GAP Funds would be investing in 4stay, according to a press release. The size of the investment was not disclosed. The site’s functionality is similar to rental site Airbnb, with students searching for available off-campus housing based on a variety of factors like the number of roommates or length of stay. Types of homes range from apartments to basement rooms in someone’s house, but all locations are required to be fully furnished with students having a bedroom of their own. “We are grateful for the support of CIT GAP Funds, whose investment will help us further the acceleration of our product development as well as help spread the word through increased marketing efforts,” said Faridun Nazarov, co-founder and COO. The company currently partners with over 100 schools, but with the CIT investment announced plans to bring on an additional 500 schools over the next 12-18 months. Part of the expansion plans include opening up in new student housing markets in Canada and Europe. Upcoming offerings planned for the site include features to match users with other residents and the ability to book with room providers like school dorms or student housing companies. (Updated 3 p.m.) Fend — a Ballston-based startup that adds a physical component to the data transfer process to reduce hack-ability — has won a key Department of Defense contract. The company’s technology transmits information from a data-collecting source, like a piece of industrial equipment, in a unidirectional beam into the second piece of equipment that links with the cloud network. The physical barrier reduces the possibility of hacking through a network. 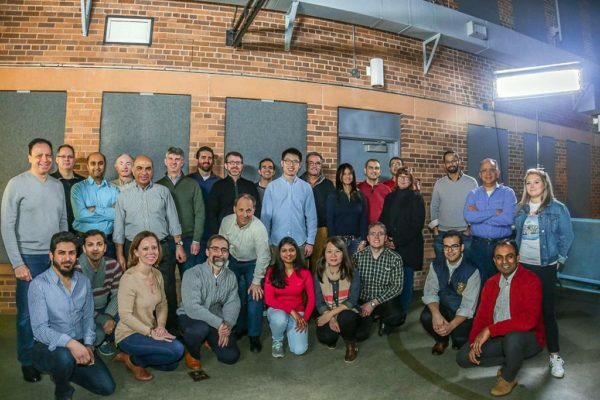 The startup won a $1.6 million contract to install devices at an Army Corps of Engineers facility starting in June as part of the Environmental Security Technology Certification Program. 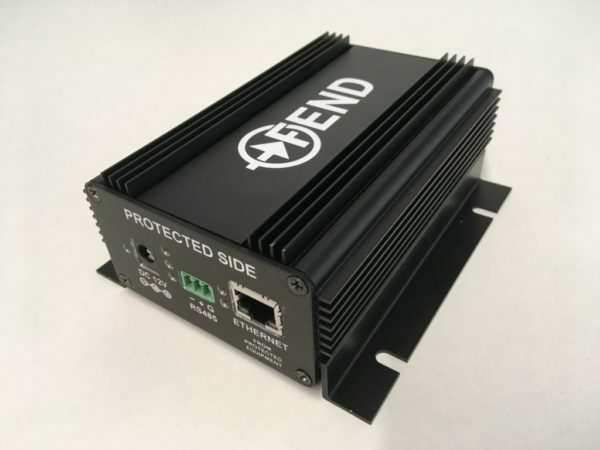 On-board processors enable Fend’s hardware to communicate with protected equipment using common protocols and transmit this information to an on-site network or cloud service. Fend’s [technology] would serve the unmet needs of critical infrastructure managers across [the Department of Defense] by quickly enabling secure access to equipment data. Dunn said part of the new contract will be putting the project through the wringer to see if it can survive in the field. Dunn said the project has evolved some since the initial design, like streamlining the number of ports on the box and figuring out ways to make the product more cost effective and rugged. The new contract has allowed Fend to expand, with the company currently looking to hire a project manager, electrical engineer, a data scientist and a few people in sales. 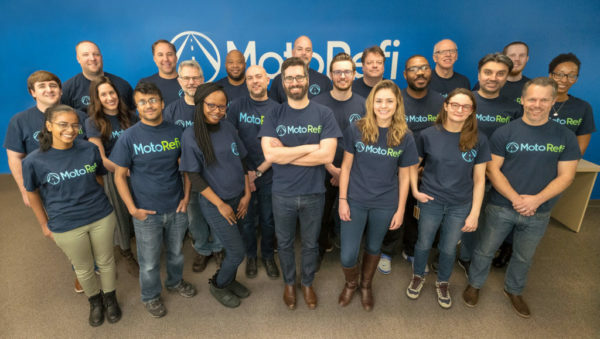 The new frontier of user interface isn’t a keyboard, controller or a touch screen — Ballston-based startup Modev says it’s your voice. Modev aims to help developers understand voice controls and fully understand the potential and challenges of programming for voice controls. The main venue for this education is a series of summits where programmers and experts talk about the latest developments. Pete Erickson, founder of Modev, said one of the big challenges Modev works to solve is helping developers understand just how different developing for voice controls is. The current market is for functional home interfaces, where a monotone robot can change the channel or lower the temperature. But Erickson said the market is going to rapidly move towards increasingly realistic conversations. Erickson says a person using the voice activation for day-to-day home functions will need a different voice to interact with a 7 year-old or an elderly person with dementia. Modev started ten years ago in a pizza shop in Rosslyn. Erickson had just gotten married and moved to D.C. after years of working in the Seattle technology industry and wanted to meet with other locals who worked in smartphone development. Within a year, the group had 1,000 members. By then, Erickson started to brand the group as Modev — a portmanteau for mobile development. The group’s first development conference had 325 attendees, and Erickson decided to turn the group into his full-time business. A decade later, the group has events across the country and in places like Hong Kong. Erickson said most of the money comes from sponsorship, which also gave them the connections to put together the first conference on developing voice controls for Amazon’s Alexa, Amazon’s virtual assistant. Rather than hold one central conference, Erickson said the team spent three months of 2017 traveling to 10 cities to meet with developers and help them build for Alexa. 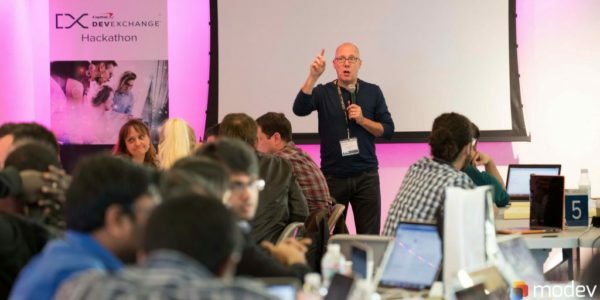 Modev hosts several events every year focused around different aspects of development, like the upcoming VOICE Summit on July 22 in Newark, New Jersey or the management-focused EXO Software Leadership summit on Sept. 15 in Aspen, Colorado. There are nearly 400 proposals currently being sifted through for Modev’s big conference planned for the VOICE Summit. Founder Pete Erickson’s team is sorting through the projects currently and narrowing it down to 75-100 projects that will have a chance to give a demonstration. The conference last July was expected to have 1,500 attendees. Over 3,000 showed up. But as they’ve been going through the projects, Erickson said he believes there’s potential to do something newer and bigger. Erickson likes the in-person conferences, but he also has first-hand knowledge of how valuable online conferencing can be. 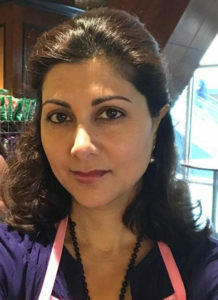 There are nearly 20 people working at Modev, but the headquarters is just Erickson sitting at a desk in the Ballston Techspace coworking space. Erickson said most of the company is spread out across the country now, and they collaborate online. It’s an experience that Erickson says the company can use to change the way the conferences are held. Rather than host an in-person conference with a limited number of attendees and performances, Erickson said work has already started for a conference on Feb. 20, 2020, that will live-stream worldwide with a broader selection of presentations. Ballston-based tech startup Federated Wireless is taking advantage of new changes to the Federal Communications Commission’s rules to expand its business partnerships. On March 12, Federated Wireless announced a new partnership with Cambium Networks, an Illinois-based internet provider, to use frequencies newly available for commercial wireless use. Federated Wireless works on making new frequencies available for commercial use and ensuring that those frequencies do not interfere with other signals. This allows — for example — automatic cash registers to securely interface or factories to wirelessly link their information systems. Federated Wireless offers its wireless access through the Citizens’ Broadband Radio Service initiative (CBRS), which makes a subset of the airwaves open for commercial use. Federated Wireless said the new partnership was made possible by a change in FCC regulations on Priority Access Licenses (PAL). In October, new rules opened up the available spectrum even further for commercial development. The new FCC regulations allow those who are holding PALs but aren’t using them to lease the spectrums to private enterprises. Part of the change allows wireless internet service providers room to work together on certain frequencies and create a market where groups like Federated Wireless can go toe-to-toe with telecommunications giants by pooling their resources. The company has been planning a gradual build-up of its presence in Arlington, with 400-500 jobs expected in the first year of “HQ2,” but 25,000 or more jobs expected to be created here within 12 years. 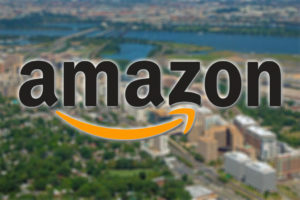 Amazon will initially lease temporary office space in Crystal City, but will build the bulk of its local presence at sites near the Pentagon City Metro. 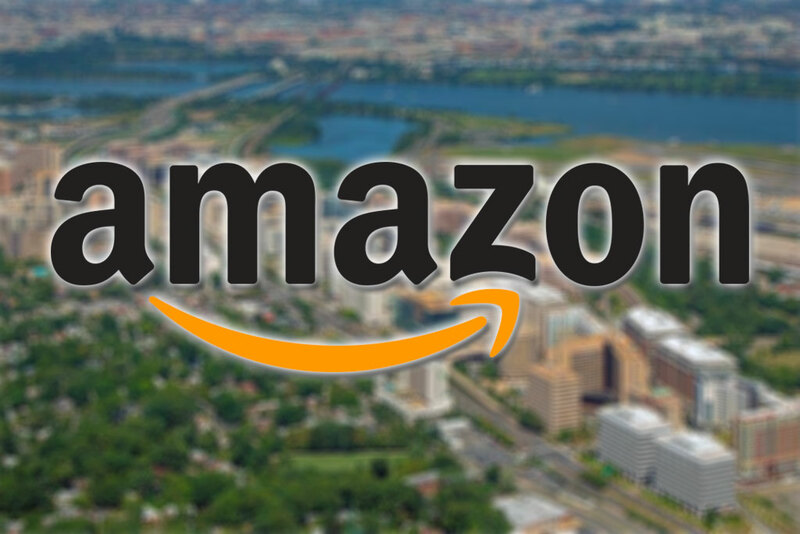 Amazon’s impact on housing prices has been subject to some debate, though generally HQ2 is expected to bring higher housing costs to Arlington and the region. Amazon may also have impact on businesses, particularly local startups and tech companies. The tech and retail giant, for instance, might drive up office rents and employee salaries, and might make it harder to recruit technical talent. 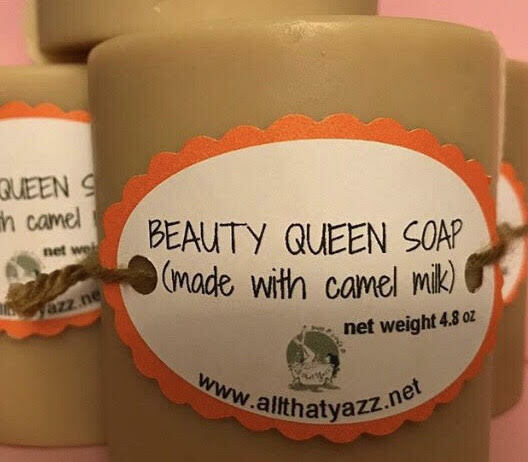 We asked a number of local startup founders what they thought of Amazon’s impending arrival and most said they were looking forward to it, but with some apprehension. “I’m mildly optimistic, though having seen some of the impacts of tech companies booming in San Francisco and Seattle (increased homelessness, drug use and local economy challenges) I’m also a bit nervous,” said Joanne Sonenshine of Connective Impact. JJ Linser of L2Platforms struck a similar tone. Chase Damiano, COO of Arlington-based Commonwealth Joe Coffee Roasters, says he is particularly excited about having chosen Pentagon City for the company’s flagship location. The cafe at 520 12th Street S. is right across the street from Amazon’s future Pentagon City campus, and Damiano expects Amazon employees to be among his top customers. Jean Jacques Borno, founder of Crystal City-based financial planning app startup 1787fp, thinks Amazon will be a net plus for his company in a number of ways. Privia Health, a Ballston-based physician organization, announced last week its partnership with Health First, the first health system to join the organization. 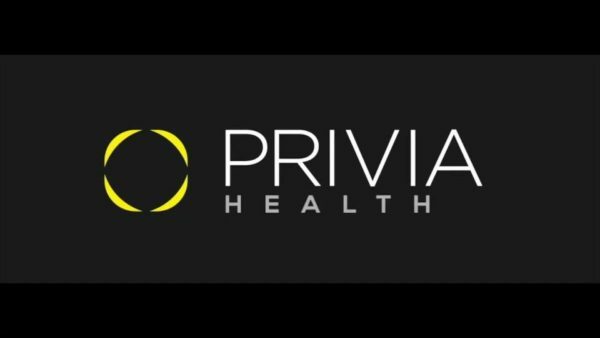 Privia Health was officially established in 2007 as a partnership with independent physicians, but following the restructuring of the U.S. healthcare system over the last decade, the organization transitioned into the Privia Medical Group. The new focus for the organization was to help independent physicians succeed in “value-based care.” The organization’s first location opened in January 2014. The organization now works as the management system for independent physicians, helping them manage patient health and improve care coordination. The organization coordinates health plans, health systems and employers with care provided by independent physicians. Health First is a not-for-profit community healthcare system in Brevard County, Florida. The organization is locally owned and in 2017 provided $159 million in community support. According to Amanda Wells, a spokesperson for Privia Health, with the new partnership with Health First, the organization has a presence in five markets across the United States. Wells said the ongoing goal as the organization grows is to find new methods of providing easier access to healthcare providers while reducing the administrative burden. Wells said the Privia Health’s headquarters in Ballston gives the organization access to both medical authorities and lawmakers. When Erik Neighbour’s sister gave birth to a baby boy a little over a year ago, like a lot of new uncles, he began to worry about the child’s future. Around the same time, Neighbour said he read an article about the high number of Americans that would struggle to handle emergency expenses. Guardian Savings, a new app to help teach children financial literacy, was born out of Neighbour’s desire to help give kids like his nephew a head start on lessons about banking. The group is still in its earliest phases, with a team of three working from home. Two are located in the Courthouse neighborhood, with the third in San Francisco. Neighbour said the idea was to include behavioral incentives and rewards for good financial behavior that could change and evolve as the kids grew up and learned more about finances. The development featured feedback from local teachers, which Neighbour said was critical in building the app’s interfaces and features. Almost two weeks ago, the group launched a prototype of their app for elementary-aged children, with future modules planned for older ages. The app currently has around 20 users. But while Neighbour’s team works on building the prototype, he also said the group is started to look at how to make the app financially sustainable. The long term vision is for the app to grow along with its users, so children who start with the basics in elementary school can learn more about investing and taxes and insurance as the children reach middle or high school. If they can achieve that, Neighbour said he hopes to earn revenue from referring fees to larger financial institutions, like banks or credit card companies. But this is reliant on building a generation of users, which is still an optimistic vision several years in the future. 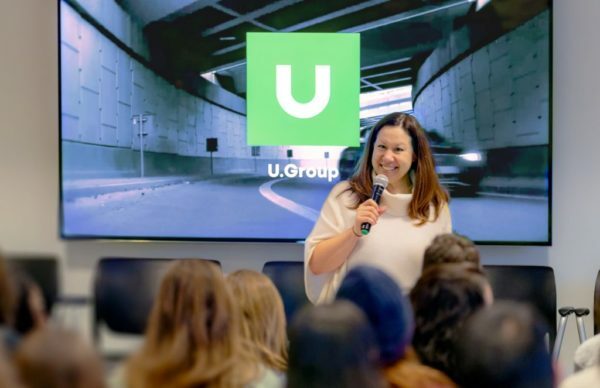 (Updated 2:30 p.m.) — ByteCubed, a Crystal City-based startup contractor and consulting business that’s been on the rise for the last few years, recently merged with D.C.-based digital agency CHIEF to launch U.Group: an advanced technology and creative design company. The company said in a press release that the merger allows the creative marketing side from CHIEF to access the new technological tools from ByteCubed, while the technology side of ByteCubed can now be marketed and spread on a much broader scale. The move is part of an ongoing shift for ByteCubed from a government focus to a more diversified clientele. ByteCubed started with a heavy government focus and a $325 million Department of Defense (DoD) contract. The DoD is still listed on the group’s main site as a major focus of the company, specifically aimimg to connect it with American small businesses, but there is also a focus on more commercial and non-profit projects. As ByteCubed, the company acquired a hologram technology from Maryland-based developer Mixed River in December and launched a new subsidiary specifically focused on developing that technology for other commercial applications. The platform incorporates Microsoft Hololens augmented reality headsets and video wall technologies so players can study opponent activities in a realistic field environment and experience actual game-day plays. By factoring NFL Next Gen Stats and other unique data sources, the platform is able to analyze and model infinite plays and game-day scenarios, giving the players the critical training they need while protecting them from injury. The company had also partnered with the Chan Zuckerberg Initiative (CZI), a $45 billion philanthropic group established by Facebook co-founder and CEO Mark Zuckerberg and his wife, Priscilla Chan, a pediatrician and philanthropist. On their website, U.Group said it developed the website for CZI and worked to promote media coverage of the organization. The group plans to continue working out of offices in Arlington, D.C. and Portland, Oregon.